The grant will be used to expand the John Pounds Community Centre into the Victorian Treadgolds warehouse so they can increase their income through space hire and fund more community health and wellbeing activities. 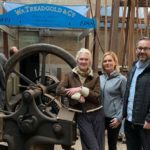 Power to Change’s grant will enable the Trust to renovate the Grade II listed Treadgolds factory, and leverage an additional £80,000 from Portsmouth City Council’s Neighbourhood Fund. The Trust will make sure Treadgolds is accessible to all by welcoming guide dogs, having hearing loops in meeting rooms and portable hearing loops, wheelchair access around the buildings and accessible toilets. Profits from room hire will be reinvested into the Trust’s health and wellbeing activities for people with heart disease, diabetes or recovering from cancer. It will also fund a debt advisory service. Once a thriving ironmongery factory, the Grade II listed Treadgolds buildings are being renovated by the John Pounds Community Trust to turn them into a thriving community hub at the heart of the Portsea, one of the 10% most deprived neighbourhoods in the country and large amounts of social housing. The Council turned the Victorian factory into a heritage museum when it closed in the late 1980s, but it fell into disrepair due to high maintenance costs and closed in 2003. Now a neighbouring community business, the John Pounds Community Trust, is expanding into the building, with the help of a £298,000 grant from Power to Change’s Community Business Fund. 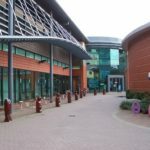 The John Pounds Community Centre, which opened in 2005 after ten years of planning and community involvement, currently houses a gym and a 350-seated capacity sports hall, meeting and training rooms, art space, a library, a nursery, a launderette, youth rooms, a café and a dentist. But the building has outgrown demand and struggles to run multiple events at the same time, without impacting on regular bookings. The Council transferred the Treadgolds buildings into community ownership in 2013. Since then, volunteers and staff from the John Pounds Community Trust have grown a community garden in the factory’s old courtyard, as part of their Healthy Living scheme to support the wellbeing of people with heart disease, diabetes or recovering from cancer. Local GPs refer people to them to help with everything from muscle strength to mobility. They’ve also been consulting with the community to understand how best to develop the buildings to meet local needs and have now created a masterplan. The Power to Change grant will enable them to turn their vision into reality and create even more spaces – including a welcoming entrance to the Treadgolds building, accessible toilets, a mezzanine with office space and meeting and training rooms – and opportunities to benefit the community. This will also help increase income, which will be reinvested into running health and wellbeing activities, and a debt advisory service, requested by the community. 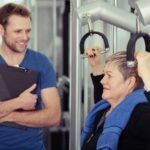 The John Pounds Centre offers membership for anyone wishing to access centre-led fitness and activities programme. Membership is renewable annually, at a cost of just £2.60, and Portsea residents are offered further discounted rates on activities of up to 25%. Typically, there are over 400 active members of the Centre at any given time. All members are encouraged to provide feedback for input into the running and direction of the organisation, which is collated by the Centre Director for discussion at bi-monthly board meetings, and resulting actions implemented by the centre’s Management Team. They also have monthly meetings with the resident-led Portsea Action Group to discuss wider issues in the area and respond to local needs, and regular check-ins with tenants, residents and local user groups. This mix of involvement and feedback contributes to the direction of the organisation and delivery of the social programme from the John Pounds Centre.